Thank you for signing up to receive the SJC News! 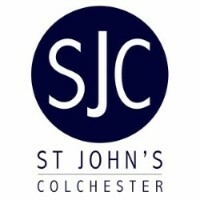 We hope you enjoy reading about all that's going on at St John's. Further information is available on our website, which you can check out here. Sermons are available on the website. Read on for more information about what's happening at St John's this week! We hope you all had a chance to see the choir last week. A big thank you to everyone who helped make their visit to us happen - the hosts, the drivers, the cooks and the team who hosted the St John's performances on Saturday - we couldn't do it without you! Please be praying for the choir as they travel onwards. If you didn't get the chance to see them, click here for their tour dates. They come back to London a few times and are in Harwich at the end of May. Come along and hear about our adventures in Romania and how we witnessed at least 500 Smiles. There'll be photos and videos along with reflections from the team on the project and plans for the future. Join us at 6.30pm for a baked potato supper with the presentation 7-8pm. Bring the family! Please sign up after the services on Sunday or reply to this email to let the office know if you are coming for supper and any dietary requirements. Donations of what you would have spent on your usual Friday evening meal would be welcome to cover the costs of the food with any additional money contributing to the fund for the forthcoming Romania trips. Full Immersion Baptisms - On Sunday 3 February we are planning on filling the baptistry! If you'd like to consider baptism or reaffirmation of your baptism vows, then please contact the church office in the first instance. There will be a preparation class at 12noon on Sunday 27th January. If your child or teenager would like to be baptised, then please do speak to Clare Luxton, or email her. Greetings to you in the name of our Lord Jesus Christ. First of all, I wish you a happy and a blessed new year. In this short letter I want to share a few prayer requests, how you can pray for me and for our ministry. In these days I have several meetings with my leaders from Gornesti and Apalina, where we are planning and talking about the vision and the things to do in this year. Please pray for wisdom and unity in vision. In Winter time we have a lot of evangelistic meetings where we preach the gospel and call people to repentance. Please pray for this to reach more and more people with the gospel. We are thankful that we still can see people repenting- in this last week two people made a decision in Apaline to follow Jesus. Please pray for perseverance and strength in their life to be faithful. In this year in our ministry we want to put more accent on praying together, so we have form prayer groups in Reghin, Gornesti and Apalina where we pray together every week. Please pray for these initiatives and ask God to give us good experience as we pray more together. About my personal life, this year I have three goals. One is putting more emphasis on my prayer life, second putting emphasis on training myself by reading more and going to useful conferences and the third is to focus on living a more healthy lifestyle. Please pray for these goals. During winter time, there is a lot of social need, such as food, wood and medicine. Please pray for wisdom as we try to help some people in these areas. that we had a great time in the churches at Christmas celebration. 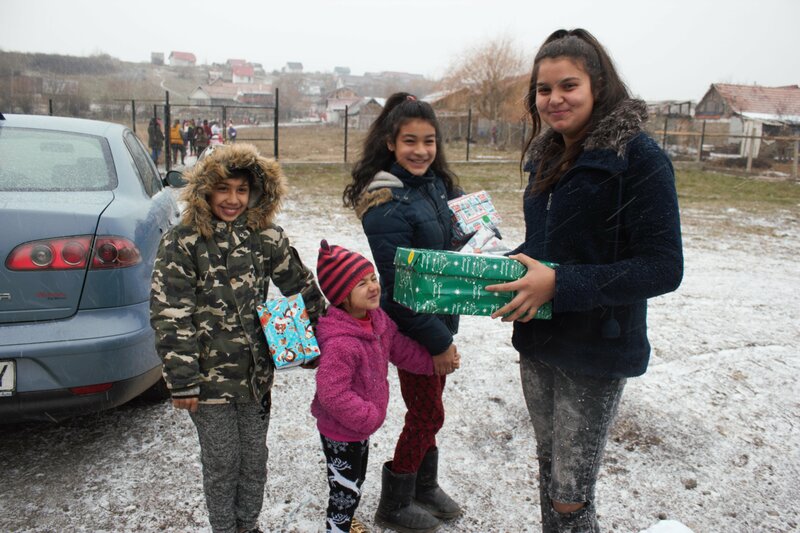 that we were able to give shoebox gifts to hundreds of children. for the new leaders who are taking more and more responsibility in kingdom work. Want to know more? ROMANIA TRIP - MAY - ONE SPACE AVAILABLE! A space has unexpectedly become available for the Romania mission trip taking place from 11-18th May this year. If you are interested and would like some more information please speak to Nik Read on 07860 173521 or contact the church office. This is the "light building" trip which will involve working with the community of Apalina and assisting with the ongoing orphanage project. 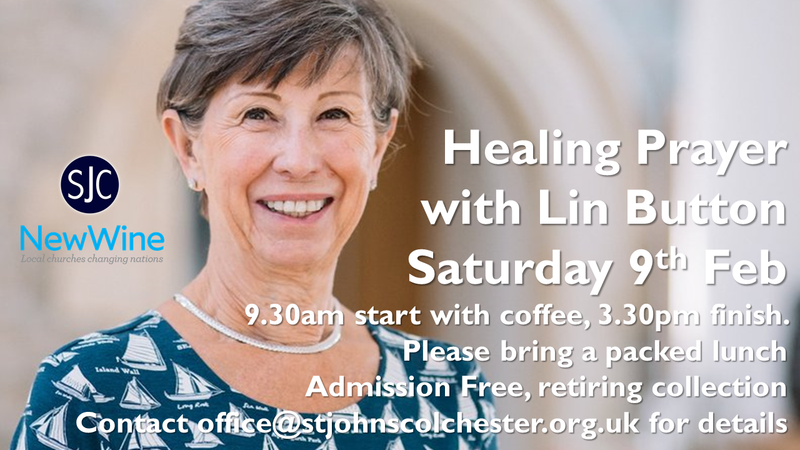 Following her visit to us last summer, Lin is coming to lead us in a day of healing prayer ministry, from 9.30am - 3.30pm. Hot drinks will be provided, but please bring your own lunch. There is no charge for the day, but an offering will be taken for Lin and her team. If you would like to attend, please reply to this email to let the office know. Saturday night is now SOLD OUT! If you have an upcoming Cluster event, please do contact the church office and we can promote it here for you. If you would like to know more about Clusters and Discipleship groups, please do speak to one of the team on Sunday. Primary School Cluster - Do you have children in primary school? Are you looking to get involved with a cluster? On Sunday 27th January after the 10:30 service, the Primary School Families Cluster are having lunch together in the Church and we would love you to join us! A great chance to get to know each other and to hear what the Cluster is all about. Bring your family and bring some cake and we'll do the rest. If you have any queries, please contact the office who will put you in touch with Micky and Jo Roberts. We look forward to seeing you! Thursday Generation - Songs of Praise, Thursday 31st January, 10am in the church. All welcome! the joyous visit of the Watoto Choir and ask God's blessings on the rest of their tour in the U.K.
Andy's talk last Sunday - Vision Sunday - sharing what God is calling us to do. 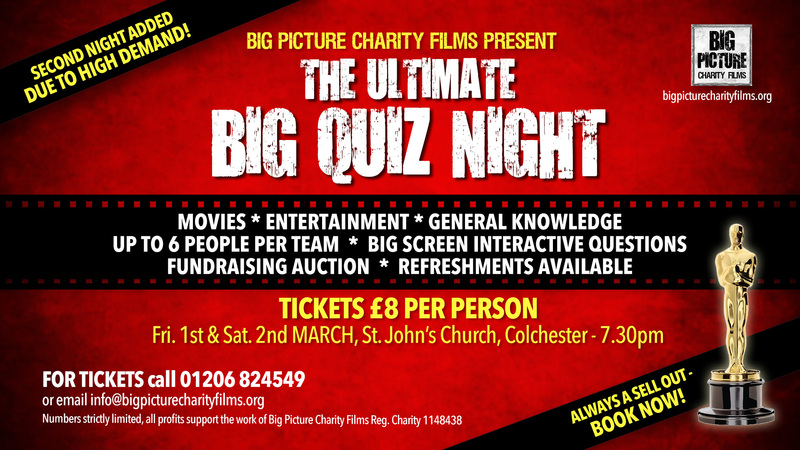 all the organisations in Colchester reaching out to the needy, especially during this cold weather. The Emergency Services and Colchester General Hospital. All those known to you who are in special need of God's love and healing touch at this time. St John's Church, in common with the Church of England is committed, as part of the Christian Church living in the spirit of the Gospel, to protect and care for everyone and we aim to be a beacon of best practice in safeguarding. Looking the other way is not an option. Should you have any safeguarding concerns, you can contact our Parish Safeguarding Representative Peter Hassard on safeguarding@stjohnscolchester.org.uk or by phone on 07813 867165.